I have been using Flipkart for years now, have always appreciated their prompt and fast delivery and have always been very happy with the user experience. But, I had this nasty experience with flipkart and I don’t know what to make of it! In December, Flipkart ran a promotion scheme, which claimed to have a 10% cashback on any order of above Rs.10,000 that is placed as one transaction and paid through HDFC credit/debit cards. The cash back was promised “before” 5th of March 2014 (not “on or before” or “by” 5th of March). I went through the terms and conditions carefully, took a screen capture of it, saved the T&C page. And then proceeded to purchase 4 items of cumulative worth Rs. 11,421. This entitled me to a cash back of Rs. 1,142, to be received ‘before’ 5th march. I set an event for 4th of March to check my account to verify the refund has been completed and forgot about this. Sure enough, I got an alert yesterday to check the cash back refund status. And surely enough it wasn’t done. Being puzzled I went and checked my order accounts. Surely enough my single order was split in to two ORDER-ID by Flipkart! One order was of Rs. 9,825/- and another one of Rs. 1,596/- and in their book it rendered me ‘ineligible’ for the cashback! So, Flipkart split up the order internally for different vendors ‘they use’ to sell through their site. I have enclosed the ‘terms & condition’ below, and it very clearly states that there was no requirement for me to place the order of over Rs.10,000/- on a single vendor(seller) within Flipkart. So, I wrote back stating the same, and also made a copy of the capture I had kept. What the above meant – If you have meticulously kept the proof of purchase, and the copy of terms & conditions, and follow up diligently without forgetting the monies owed back to you – Then Flipkart will pay. Otherwise, Flipkart will be happy to keep your money – unjustly. And it will even try to talk you out of it with some crazy explanation. Sorry to say, I will be very sceptical in future of any promotion schemes of Flipkart. And I’ll also be very hesitant to buy from flipkart, if the same item is available from other sellers. Hope Flipkart will refund this amount without any further follow up being needed from my side. But, I am posting this detail so other buyers can be beware of such ‘practices’. I am very sad to see that my favourite shopping site has come to this. Get Extra 10% Cashback on purchases of Rs. 10,000 or more on domestic HDFC Credit Cards or Debit Cards. This offer is valid starting from 24th December 2013 and ending on 1st January 2014, both days included. For an order to be eligible for the cashback, it should be paid for in-full by HDFC Debit or Credit card only. Partial payment by Wallet or eGiftVoucher would not be applicable. The maximum cashback that can be redeemed per card (including all add-on cards) on the HDFC cashback offer (from 24th Dec. 2013 to 1st Jan. 2014) is Rs. 5,000. All add on cards along with the primary card put together can avail Rs. 5,000 cashback only during the promotion period. Debit cards and Credit cards held by the same customer would be eligible for separate cashbacks. Add-on cards would not have separate cashback eligibility. EMI transactions would be eligible for the cashback offer. However, interest would be charged on the original pre-cashback principal amount. Cashback posted by the bank will not affect the EMI schedule. Example: if the customer has shopped worth Rs. 20,000, then the cashback he/she would get would be Rs. 2000. However, the interest would be charged on Rs. 20,000 for the outstanding period. This offer will not be applicable for Card-On-Delivery transactions. In case of any dispute, decision of Flipkart Internet Pvt. Ltd will be final and binding. Orders that have been cancelled by the customer will not qualify for cashback. Will I get cashback if I place more than one purchase transaction on a card? Yes, as long as each individual purchase transaction is Rs. 10,000 or more. However, the maximum cashback amount that can be redeemed per card across transactions offer during the offer period is Rs. 5,000. Will I get cashback if my purchase transaction of over Rs. 10,000 is across multiple sellers? My good friend Atul Chitnis passed away today. This post is my recollections of him. It seems eons ago, 1987 to be precise. I was just in to my career, I first met this lanky, foreign looking man, who had bumped in to the office I was working in. I didn’t have much interaction with him, but he was highly charged up, moving constantly and talking excitedly. I didn’t get introduced to him then and I’d have all but forgotten the man. Except, some months later, just out of my teens, I was already on to my first business. The Tech community in Bangalore was very thin those days. There was a technical exhibition by computer society of India (CSI) at Ashoka Hotel. We had taken a stall for selling our first product, in our new business. That’s when I first got introduced to the tall man, Atul Chitnis. He went on to become one of my closest friends. Atul was irrationally excited almost all the time. Even the earliest memories I have of him is someone who buries his face in Computers, and keeps humming out loud, but is excited by his ‘idea of the day’. I have always known him to be holding steadfast belief in whatever he did or said. It wasn’t easy to change his mind, once he made it up. You either agreed with him, or you can argue till cows come home. I now realize he never changed in all the years I have known him. He had made up his mind in 1989, that the world belonged to tele-communications, especially data communications. So, he started developing a communication program. These were the days when we didn’t even have proper modems, and he was the only one I knew who had a 2400bps modem then! I had got a 1200bps, non-error correcting modem and we used to hook up over our dial up lines and used to have funny conversations over the terminal programs. It had a lot of junk characters interspersed between readable texts. My first introduction to ‘ONLINE CHAT’!! Later that year, he had a cohesive program and launched the first Bulletin Board Service in India, Called it CiX BBS. I was among one of the first members of CiX. The users of CIX called themselves ‘CiXer’ or ‘Chakka’! He kept growing that BBS in terms of storage and speed of the service as well as the software that ran the service. I still remember waiting for Fridays for the PCW (PC-World) online publications he used to put up (with permission from publication). That was the only source of international tech news in early 1990s, other than BYTE/PC-Magazine etc.! Oh, the innocence of Pre-Internet era!! Atul was a gifted programmer in Pascal, and had acquired an impressive tool chest. He was one of the first guys I knew who bought all his software & development tools legitimately. He also had good collection of technology books. He was way ahead of his time, at least in Bangalore. An evening with him was refreshing, for the possibilities we’d animatedly discuss. Later, we struck a deal with him to distribute his communication product ‘Cybernet’ all over India. Our target was companies that needed centralized file hosting & email (not the current kind) facilities. We sold quite a few of them too! Atul’s Login ID was ‘Toolz’ and he is known as such to old CIX users even today. Fairly soon he was on to Internet and the only way to access internet those days was to use the Modems. He became ‘the guy’ to talk to regarding modems & data communications. Having started atleast 3-4 years before most of the guys in India, he knew everything about them. From best configurations, best models, to best software to use them on. He thus became ‘The Guru’, the earliest data-comm guru in India that I can think of. Atul always like to have one-to-many conversations. He liked educating and giving speech on subjects that held his fascination. Subjects that he felt are worth evangelizing. So, he would organize various meets that would create user communities. The earliest ones I can recall are the CIX meets we had. He was passionate about Data-comm penetration in India and worked to influence Govt. policy whichever way he could. But, soon Atul took to Linux OS. He always tried out new things, and was attracted by Linux very early (perhaps 1993/94) and was fiddling with it. He went on to create a group of Linux enthusiasts and called it Bangalore-linux users group (BLUG). He would organize regular meetings, and there would be a lot of useful information always. Atul became a full blown Linux Evangelist & consultant. He conducted seminars, trainings and meet ups all over India. He was the go to person for Linux related issues. 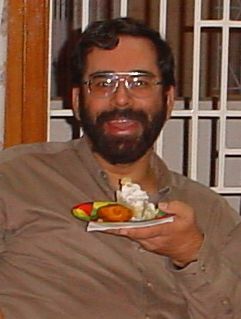 He also was the person behind the PC-Quest’s linux initiatives and issues. He used to release a yearly PC-Quest issue, that had a unique CD, that carried a Linux distribution with lot of tools. 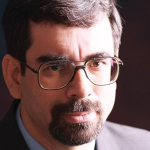 He was perhaps the best known tech-evangelist for Linux in India at the time. Atul went on to become the force behind the community efforts at organizing large scale meet/seminars. Linux Bangalore which later morphed in to FOSS.IN became a very well-known yearly event. He kept on egging a group of people, and taking on quite a lot of load himself to organize these events, that had thousands of participants and speakers from all across the world. He is perhaps best known today for his efforts for FOSS awareness. And perhaps for his last passion – Apple products. Atul was perhaps a bigger foodie than me. He loved all types of food. He was a teetotaller just like me. And like me, he could rarely resist a good serving of desserts. He used to smoke once upon a time, but he stopped it cold turkey one fine day, some 10+ years back, never to smoke again till his death. The favourite outing we used to have, was a long winding dinner in some fancy restaurant with high-minded tech conversations, with him on a laptop, which was always his companion. It didn’t matter where he was, there was always something he could do on a computer, connected or un-connected. It was almost as if, he was born with an additional limb – a digital one. He had a wry sense of humour and most of banter with him was always light hearted. However, He was also a Man with whom I could fight bitterly. When he liked something he’d totally commit and would become an unpaid evangelist. I had many disagreements with him, almost every time we met, we would argue most of the time. Most of those arguments were facile, and we enjoyed exchanging barbs & insults. But, some arguments were very substantive and had grave implications in our lives. He was one of few folks, with whom I could confidently confide and discuss troubles (his or mine) threadbare. Over the years, I had learnt to take his aggressive manner for what it was – A way to provoke the other person in to some sort of action. He was right many times. But, he could also be wrong but stubborn in some cases. It made one tear out one’s hair. You could scream at him, make fun of him, fight with him – but rarely did it make any difference! He would be set on doing whatever he thought was right, and he wouldn’t have much self-doubt. I think that trait never changed in him till his last days, even though it landed him in some trouble at times. He was a very details oriented guy, who would think up things in detail and would want the things done with all the details attended properly. He would rarely compromise, if at all it would be forced on him by things out of his control. He wasn’t meek hearted, who settled for a middle-ground for peace. But, what made him truly special was his fearless nature. He is one of the very few people I know, who rose above the regular insecurities of life and mostly led his life the way he wanted to. He found security with the community of people he knew/helped / influenced rather than the large material wealth he could collect. It was never a priority for him. Indeed, he would be most remembered for doing what was not expected of a regular person. He rose far above the little insecurities that guide most people’s lives. He tried his best to create a legacy that will outlast him. And he did leave a legacy to cherish – for his family, friends and the communities he created. And, He’s a friend I’ll miss terribly. Good bye Atul. 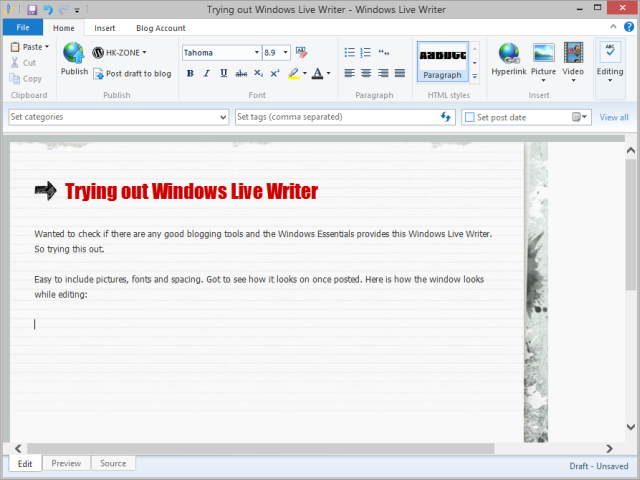 Wanted to check if there are any good blogging tools and the Windows Essentials provides this Windows Live Writer. So trying this out. Easy to include pictures, fonts and spacing. Got to see how it looks on once posted. After contemplating this for a while, I have shifted my blog. This new host makes it easy for me to manage things. When he ended his fast, Anna Hazare probably had the tacit backing of a good chunk of middle class (MC) probably going above 100million people. Most of the followers of this movement didn’t come out on streets or did candle light vigil. But they were the ones who read papers/internet, had modern communication tools and were providing tacit support through various means. The agitators rightly called themselves the Civil Society, for they were not elected representatives, neither govt. employees nor army. They were all what our govt. calls “aam aadmi”. There has been a lot of criticism about the hunger strike from Journalists, Politicians and some section of the society as well. A lot of these folks made fun of the ice-cream eating revolutionaries; as if revolutionaries by definition need to be subsist on some staple diet. Indian Express edit went to the extent of calling this as Carnival society! I wanted to reflect over some of these issues and put my thoughts more clearly. The biggest myth that’s being spread is how we are a representative democracy! In 1985, the representative nature of our democracy was replaced with Anti-Defection law. An MP whom I elect can’t vote for/against a bill unless his party decides to do so. If he violates the Party Whip, then he is disqualified from the house (Effectively ending his representation of a constituency). Who is the ‘party’? Typically the president and a small clique of people controlling the party, who most of the times are not even elected democratically even within their own party, leave alone by General electorate. So, effectively a handful of folks decide the law & policy for our country. Can there be any law in this country that is opposed by the ‘defacto’ Monarchs of this country? Who gave ‘nehru family’ that veto? Even during the NDA regime a non-representative body like RSS was deciding on policy/law! While Hunger strike is an extreme action, that is the humblest form of protest (as versus Strike calls and Bandhs that our political parties frequently resort to). In a Hunger strike, there is no coercion unless the call gets a huge moral support by the people, forcing political parties to think again about the right course of action. Compare that to Bandhs and other strike calls where stones are thrown and people are killed. That is patently un-democratic, for it violates the concept that your freedom ends at my nose. In hunger strike, people are keeping a safe distance from everyones nose!! Blackmail is when you hold someone to ransom. Exerting ones point forcefully, peacefully and forcing someone to accept the strength of argument thru sheer number of supporters is not ‘blackmail’. It is a legitimate political action. There are enough blackmailers in our politics. We have had our parliament closed down for months on a single demand. If Hunger strike was going to work better, surely they’d have done it?? But, no! They can’t do it because, for a hunger strike to succeed you need very high moral stature, a just demand and popular concurrence of your demand. Otherwise a simple police action of putting you on drips will end the hunger strike and no one will even notice. Hunger strike by Anna Hazare was meant as a trick to galvanize support for the cause of independent Lokpal. His target wasn’t the govt. but the people. He was giving a clarion call for people to wake up by a dramatic action. His hunger strike spoke far louder than a thousand speeches anyone could’ve made on the subject. The coercive element wasn’t the hunger strike. It was the massive support he received from people. And when people from broad sections of the society come up to support him, that can’t be called black mail. After all how can the electorate send out a signal to its elected class? It can’t be just voting them out?!! 3. Middle class doesn’t vote so they shouldn’t raise their voice. This is the most absurd argument I’ve heard. Voting or not voting is a function of finding motivation to do so. If the middle class could come out of their comfort zone to support Lokpal Bill, there is no reason why they won’t vote if they found a credible candidate. Voting in Indian democracy has become an exercise of selecting a lesser scoundrel in most constituencies. Indian voter can’t do negative voting (as in NONE OF THE ABOVE), and making sure no undeserving candidate wins. First past the pole will declare a winner even if someone gets 10% of the votes, if every one else got lesser!! Since our elections are fractious, if a voter votes for a fringe candidate without the support of big money/publicity, that vote is bound to go waste. Why should a person (not only Middle class) go all the way to the polling booth if he felt any of the candidates are not worthy of his vote? This problem won’t be solved easily. It can only be done with Electoral reforms – a different subject than Lokpal/Corruption. And just because someone won’t vote why should he loose his voice in a democracy? By that token 40% of our citizens should have no voice as they are below 18years of age!! Hazare and the team of protestors made it clear that they don’t believe Jan Lokpal bill is the ultimate bill. They wanted to be part of the drafting committee for they felt (rightly) that the govt. can’t draft a law that restricted its own powers. There was a conflict of interest. It certainly needed outside help. If govt. had done so on their own then this team was unnecessary. In any case, is Jan Lokpal a dangerous bill that will create a monster agency? Perhaps. That’s where the voice of Parliament will come in. If they have a legitimate reason to amend some of the parts, they can and people will accept them. But, if those amendments are for saving their own corrupt system, then people will have legitimate right to protest. Another argument is Lokpal will become Investigator, Prosecutor and judge rolled in to one. That’s not correct. He still needs to fight the cases in the regular (perhaps fast tracked) courts. He can only investigate and prosecute. This is how it is done in most developed countries anyway. Besides, having independent institution is not always bad! Our Judges are independent and can only be removed through a prescribed process. No one says they have ‘unlimited’ power! As long as there is a way for a bad Loakpal to be removed through a transparent, independent (non-political) adjudication process, there will be sanity in the institution. 5. Bribe Giving is the reason for corruption. An institution can’t solve it. Its self-evident that bribe taking can’t happen without a bribe giving. However, a general culture of acceptance of corruption has seeped in to everyday life only because there is no enforcement of laws against such criminality. In Bangalore, Traffic rules are violated more often than followed. But, everyone violates them with impunity, because they know the police aren’t enforcing it. The usual police argument is people are to be blamed, because they don’t follow the law. That argument is both absurd and perverse. If everyone followed the law, we didn’t need police or courts to punish! The fact is people tend to follow the law only when there is strict enforcement of the law. A law that can’t be enforced is a bad law, so it should be repealed. So, either the govt. should have good enforcement mechanism of its own laws (for which it needs independent agencies like Lokpal) or it should simply legalize a system of payment for various works to be done. They can see if people support that!! 6. Lokpal won’t solve the myriad problems of this country. This is a classic red-herring. Lokpal is not meant to solve problems. It is meant to enforce anti-corruption laws. Currently we have politicians controlling the police and prosecution in all cases including the ones that are against their own. The idea of lokpal is when a citizen has a problem against the governing class, he has an independent institution as a recourse. This is a way of bringing in checks and balances to unbridled power our elected govt. enjoys. It won’t solve any other problems directly, but indirectly it’ll force most of the money allocated for various projects have better chance of reaching the right destination. This is a big myth! Middle class in India is a nebulous entity. McKinsey says it is about 5% and will grow to 40% by 2025 or so. But, using broader eco-indicators (People living on $4 and above a day) India has 30% MC as of 2010. It is not a homogenous group. But, it is the one which is made up largely of blue-collar and white collar labor, small traders and professionals. This class is invariably blamed or made fun off by the Pseudo intellectuals for participating in what they call a blackmail or a un-democratic movement. They have also criticized this class for not voting in elections (as if it is one homogenous class). They are also blamed in many articles for the ill of the country, like – They are the bribe givers. But, culture of bribe seeped in to Indian society long before the Middle class came in to prominence. Giving a bribe is not only an option, but almost a compulsion if you want the job done, without having to waste many days of running around. This system can’t be changed by any one individual’s resolve not to pay a bribe. It needs a systemic response of enforcement of already existing laws (and new ones) and thus empowering the society. In short – We have Police to invesigate ‘aam admi’ (Common Man). What we need is an institution (Lokpal) to investigate ‘vishisht aadmi’ (Special man). Why costly oil is good news? World oil prices are soaring and pushing up inflation, especially in oil dependent countries with export deficit. Instead of it being a bad news, in my opinion it is a very good trend. Most probably the rate of Oil is going up in speculative trade. People betting on worldwide (specially US) recovery, and are pushing up the prices. If economics is indeed the science of incentives and dis-incentives to elicit a desired human reaction, then high price oil will elicit a response from consumers of looking for alternatives. One alternative people will look for is Public transportation instead of private, which is a good thing. But, another trend that’ll catch on is alternative energy. As cost of fossil fuel levels with newer energies, world will invent to adopt these new forms of energy more aggressively. High priced oil will be good enough incentive for govts and large corporations to plug large sums of money in to research that’s right now decades away. Third reason why high oil price is good is because …. Our environment may finally get a respite! !